Drone pictures of Båstnäs Car Cemetery! 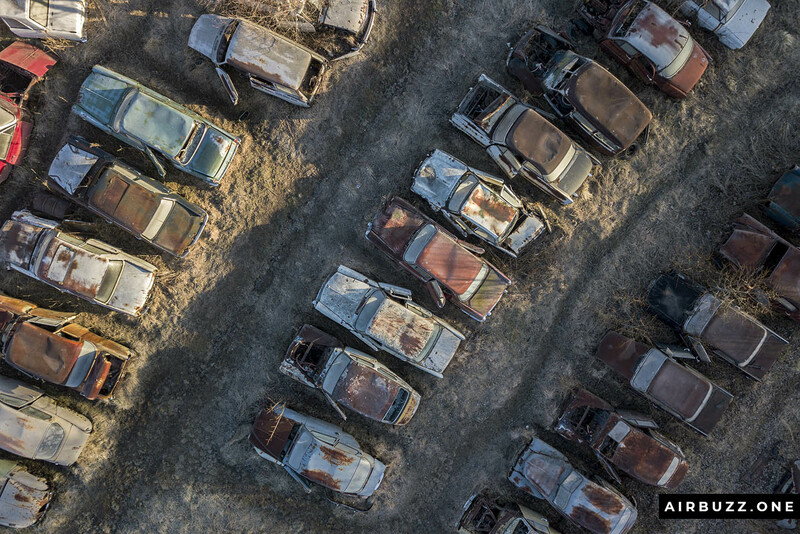 The remote Swedish scrapyard where old cars rust in peace! 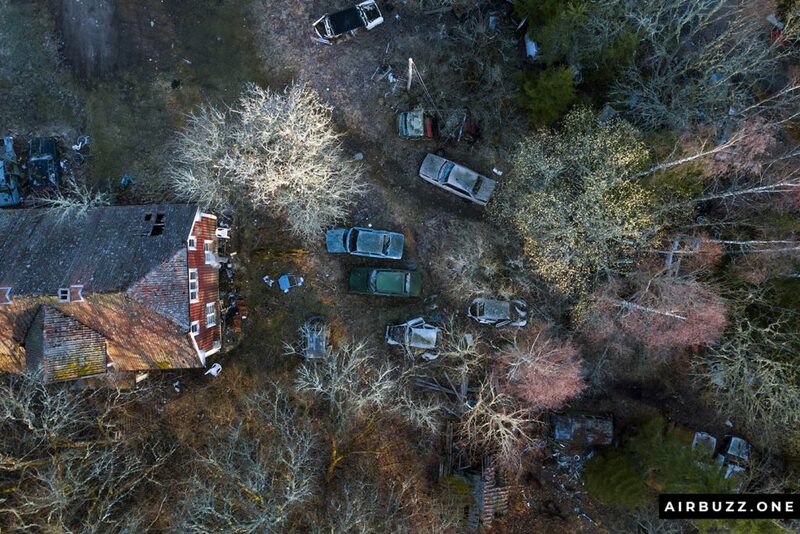 Photographed with a drone. 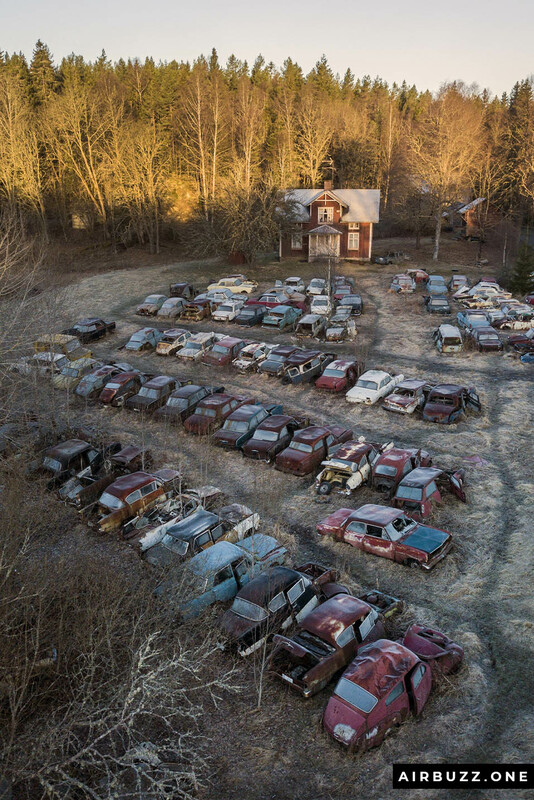 I woke up at 04:00, packed my camera gear and camera drone and began a two-hour drive to catch the sunrise over the fantastic car cemetery deep in the woods. 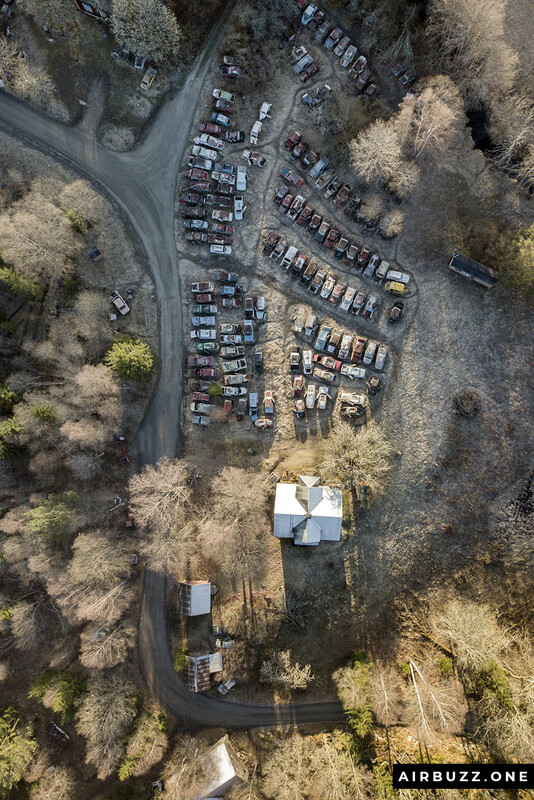 I’ve been here many times before, but this time I wanted to try something new – take photos of the place from above. 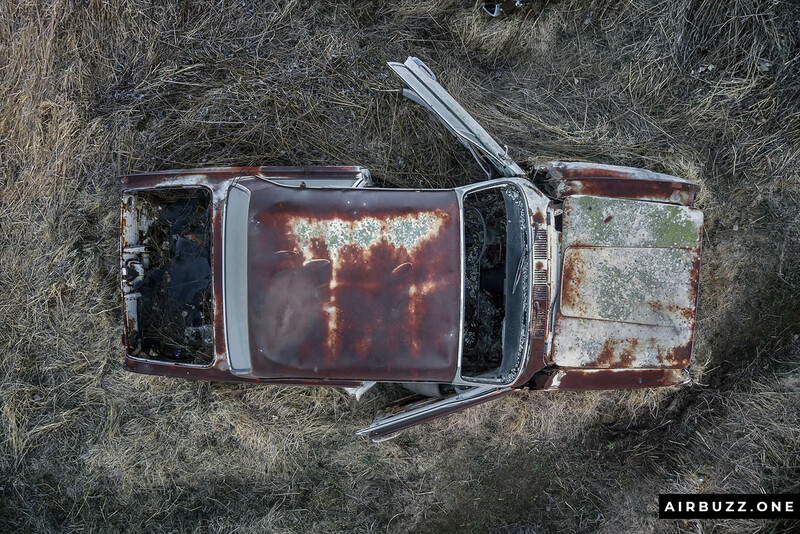 My DJI Mavic Pro is perfect for the job and I looked forward to getting there once more. 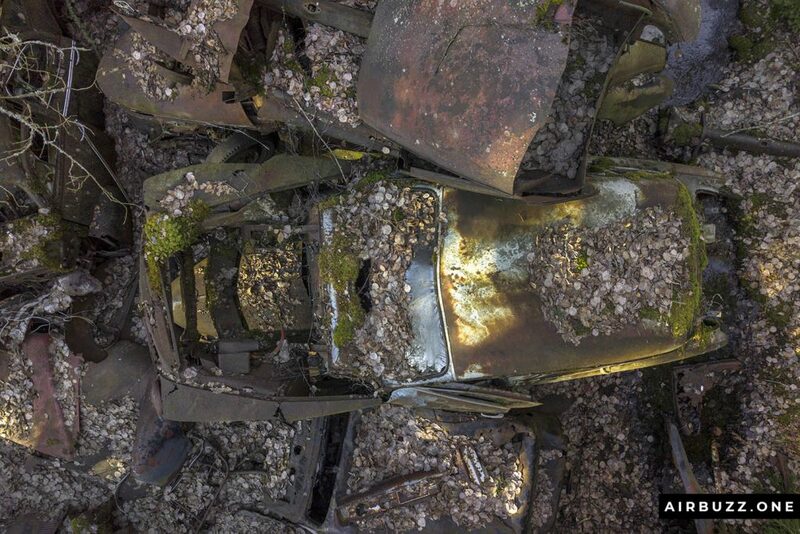 After 30 minutes of driving on a small road through the thick woods, the first rusty cars showed up along the road. I parked and walked out. Total silence, no people around, beautiful morning light and -3 degrees Celsius met me. I didn’t regret getting just a few hours of sleep. It is truly a special place in the Swedish woods. 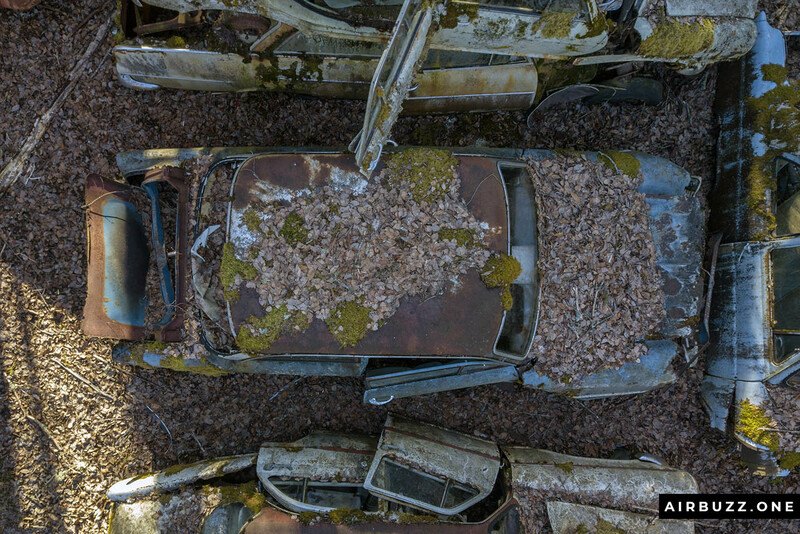 It is called Båstnäs Car Cemetery (Båstnäs bilkyrkogård / bilkirkegård / bilskrot). Google ut up if you want to find it, it is not difficult. It is no secret. This is the place where almost a thousand vintage cars have found their final resting place. 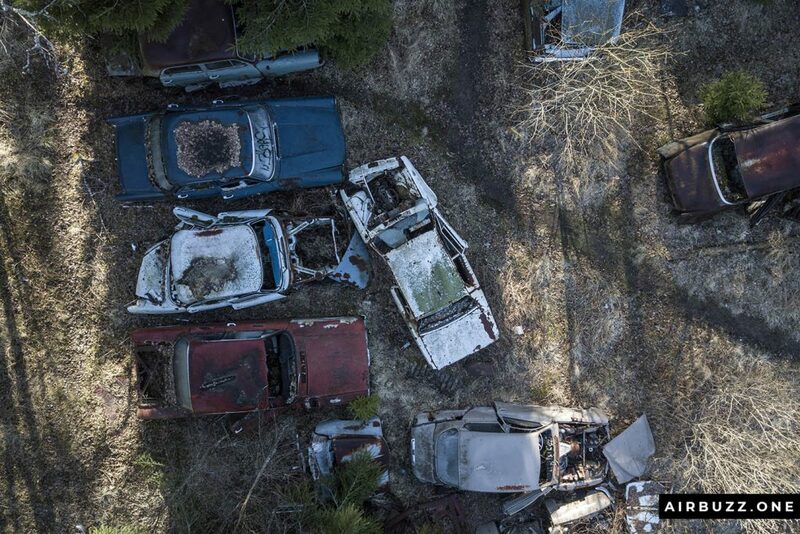 The number of vehicles still left is a bit uncertain, but between 700 and 1000 is a rough estimate. The demand for car parts where huge after the second world war. Everyone needed parts to fix their vehicle. People came all the way from Norway to buy. 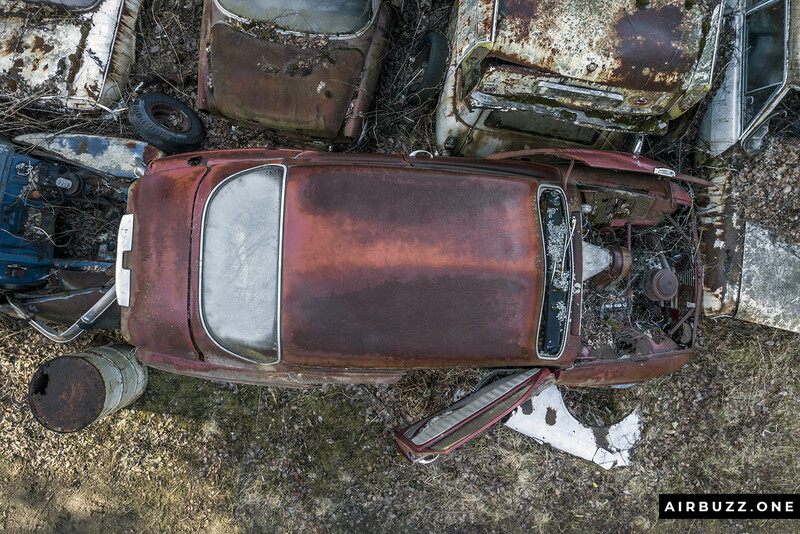 Cars from the 1930s to 1970s are still on the site which attracts car enthusiasts and photographers from the entire world. Here is a link to another photo trip I had here, years ago, without a drone. And here are pictures on Flickr from the second trip in 2013, if you are interested. If not, read on. 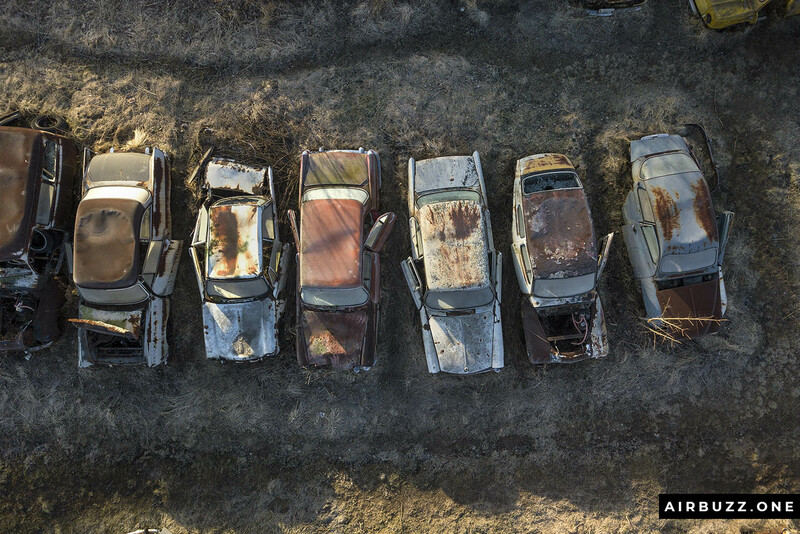 The cool drone pictures of the car cemetery are just below. I learned many things from this trip too. The first one is that 3 batteries are not enough. I have only 3 intelligent drone batteries but I need more. And I forgot my car charger at home too… big mistake. When the battery alarm went on and I eventually had to cancel out a return to home command while flying beneath trees, I pretty much maxed out every battery. The other thing was more of an experience. I realized that I now manage to fly pretty close inside dense vegetation and tall trees without crashing the drone. 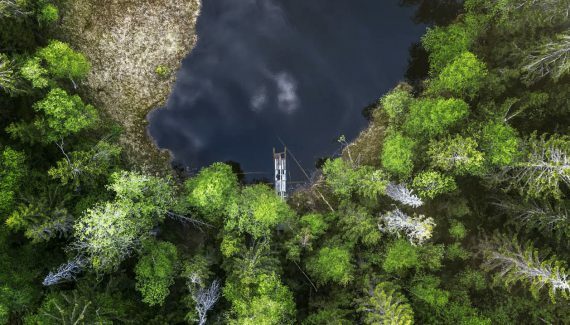 I have hit branches before… The clue is to continuously walk around and watch the drone from different angles when it hangs beneath the treetops. And I didn’t take unnecessary risks this time. Check out this review: DJI Tello Review – Is it the perfect beginner drone? 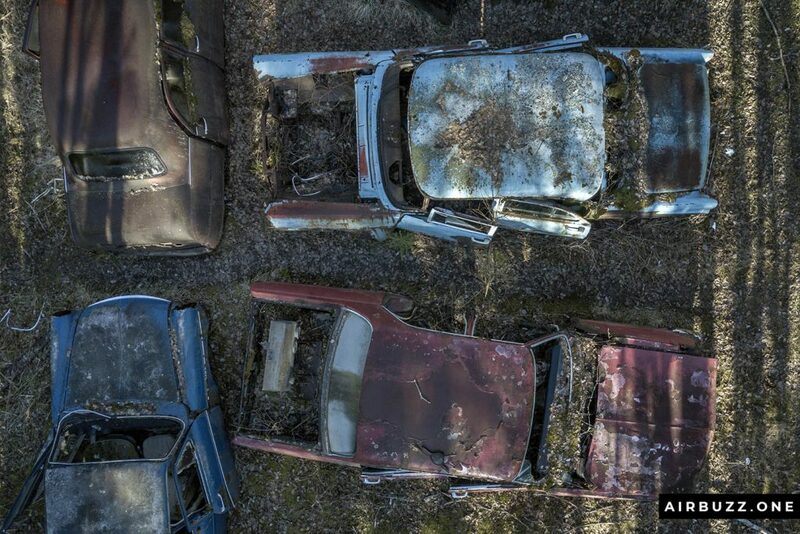 After a few hours of nice light, the strong sunshine shone over the scrapyard and it was time to pack up and go home. I will probably return with my quadrocopter for more aerial drone photography. One more thing, at the bottom of this article, under all the pictures are a small film I made from Båstnäs on a previous trip during winter. Check it out! Top view of the open part of the car graveyard. The morning sun is on the rise. Complete silence, no one else around. Just the buzzing sound of the happy drone. 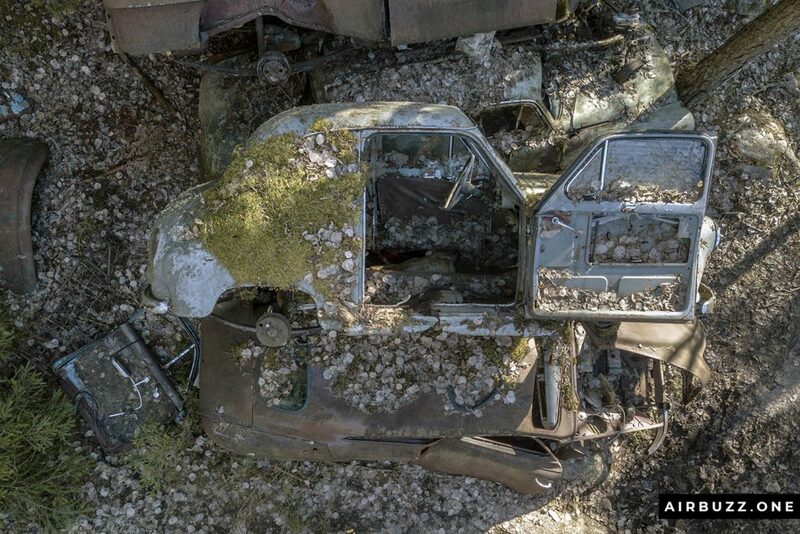 Rusty vehicles soon covered in grass and vegetation. Love the light in this shot and the frozen windows. 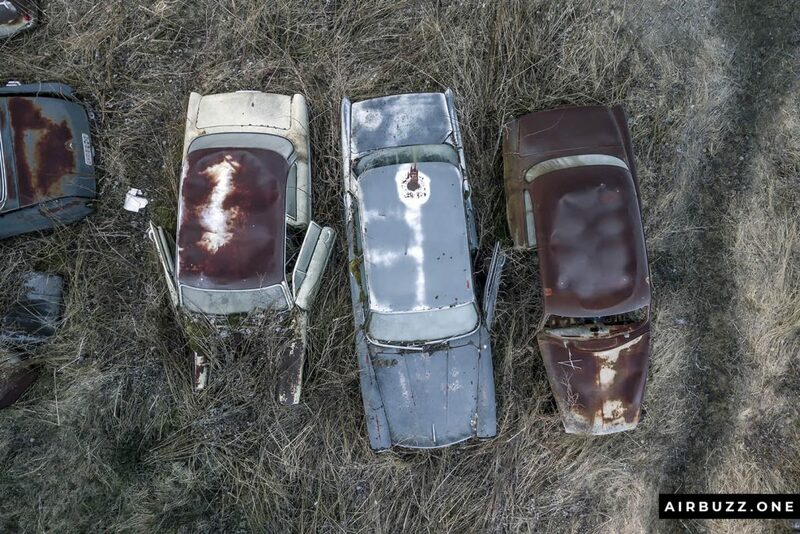 Three cars in a row waiting to rust away. 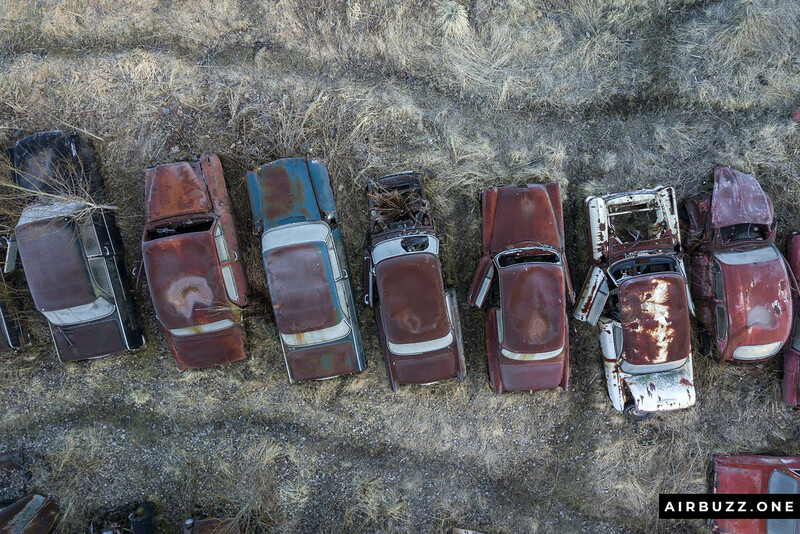 The abandoned cars look like toy cars – Matchbox or Cargo cars. 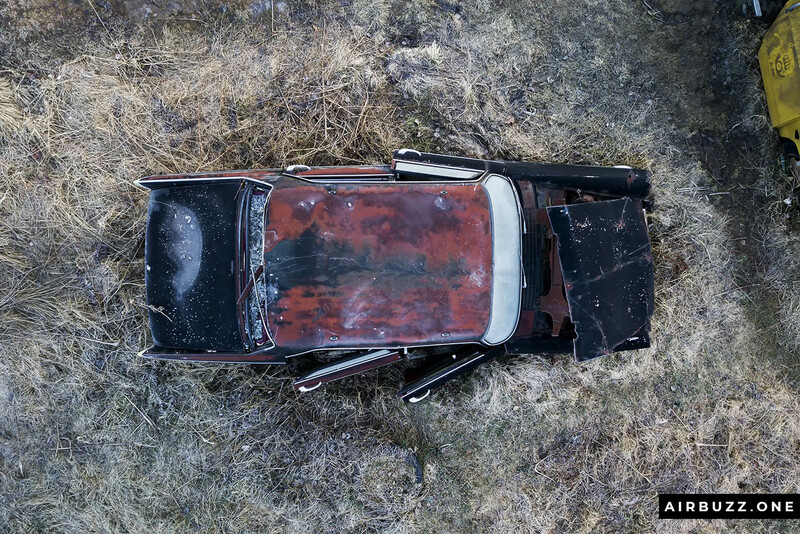 Another top view of a single car. I like the framing in this one. 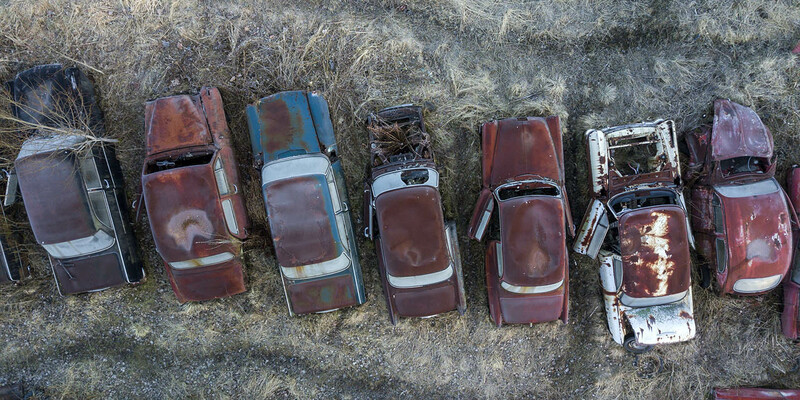 More cars, slightly different curved angle of the row. Perhaps this is the one to hang on the wall? 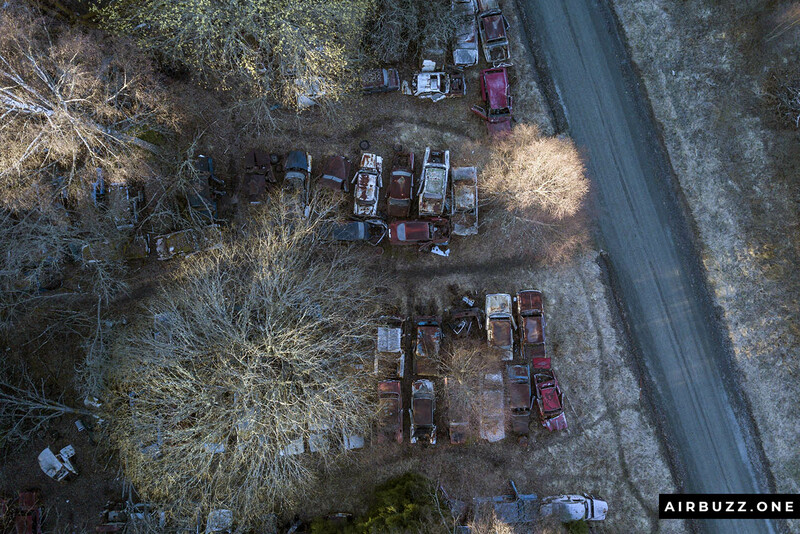 In the woods are a huge amount of cars, more than in the open area. 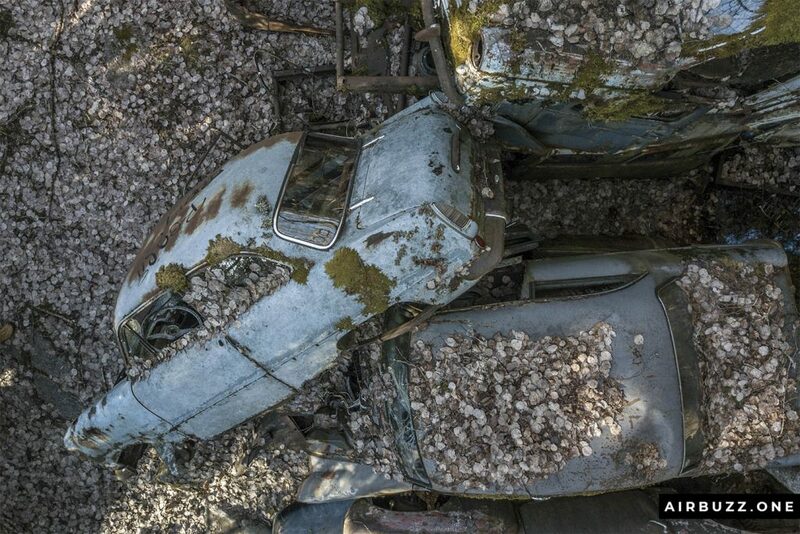 Old Austin a30 flipped on the side with the door open. 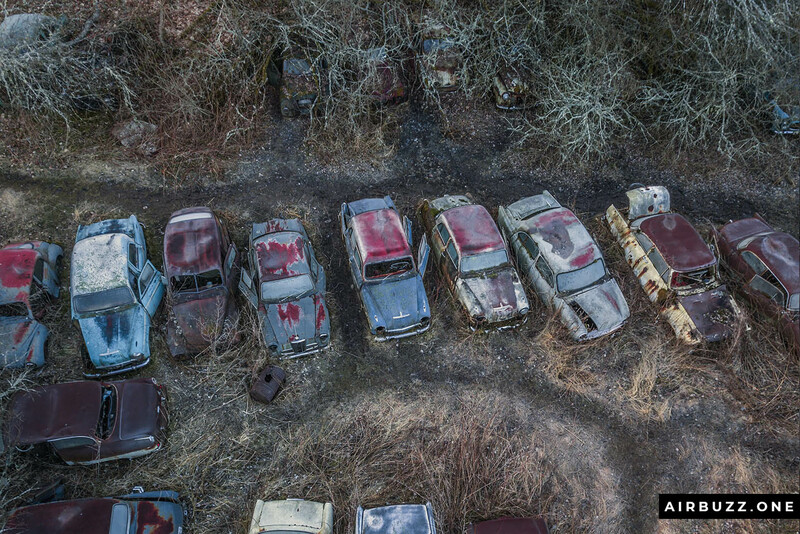 A portion of the old vehicles and the entrance to the woods. They are almost covered in old leaves. 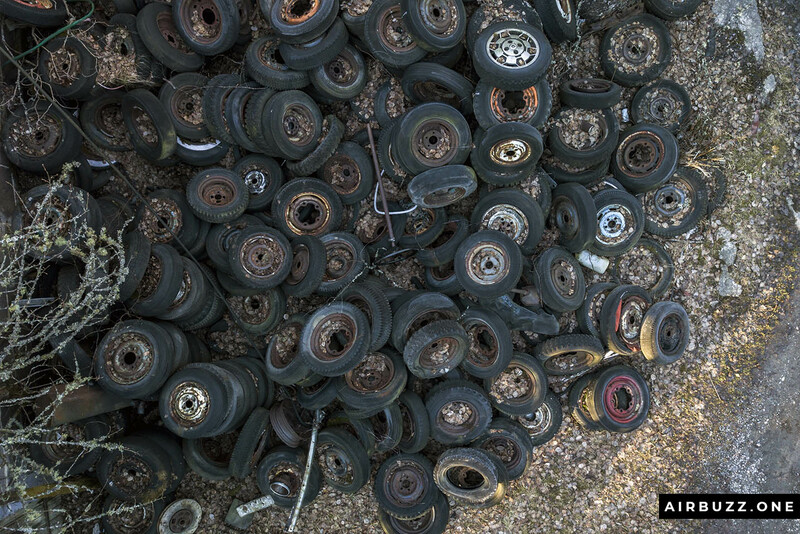 A pile of old tires, drone style. One of the red houses with traps. It was hard to fly between the trees not hitting branches. The height was often limited. Smashed and destroyed old machines. A car filled with alloys. 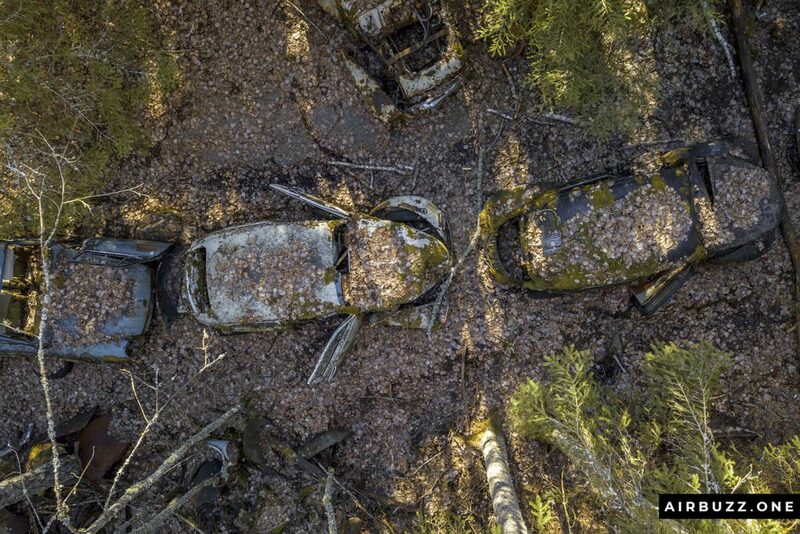 The infamous row of Volkswagen Beetles and other cars snailing through the woods. I like the formation and composition of this drone pic. When hovering close to the trees, I had to walk around and be 100% sure that the propellers wouldnt hit any obstacles. Please leave a comment below if you want to share your thoughts on this article. Also, read my article about my experience with the shaking camera this day and how I solved it. 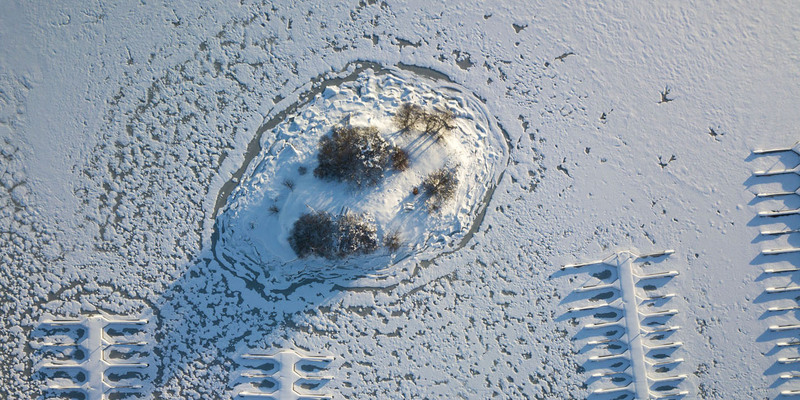 A nice drone flight above Sandvika covered in snow! The hidden lake without fish, but with an old wooden pier and bonus fast walker UFO! 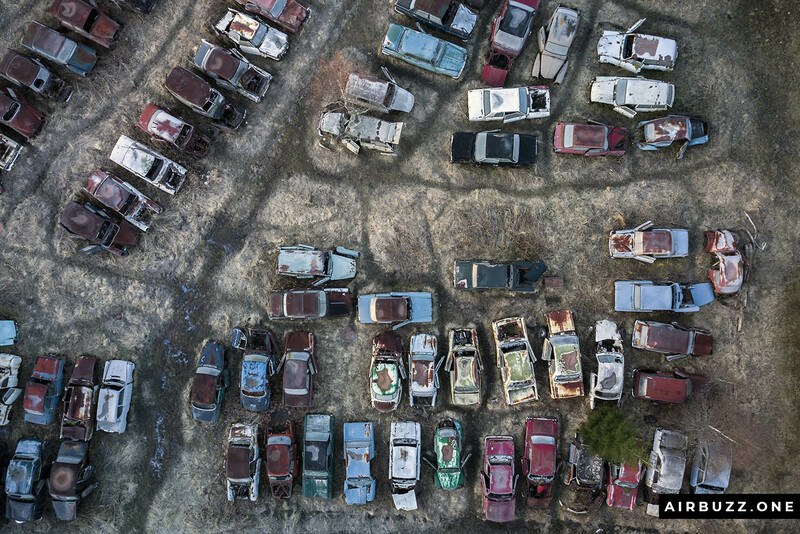 What a nice article, what a beautiful and interesting pictures from Bastnas car cemetery! It’s always nice to see old cars, today you share on your article another different side from these old cars. How many stories they will share if they only could talk! 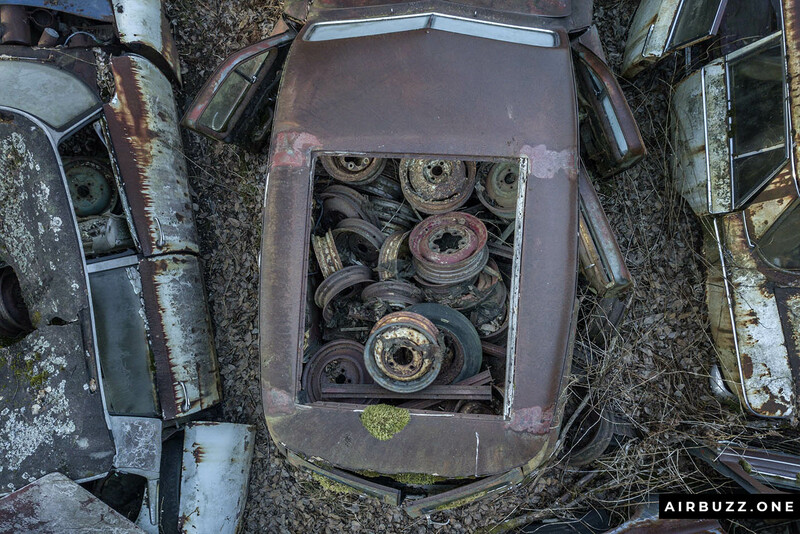 Thanks for sharing some quite interesting and artful pictures from a car cemetery, when to some people it’s hard to find something nice from it to share. It’s amazing how good pictures you can take with a drone! My son in Mexico has one, and he loves to take some pictures with his drone too. My husband just bough his first drone, he is just learning how to fly his drone. I will share your site to both of them. 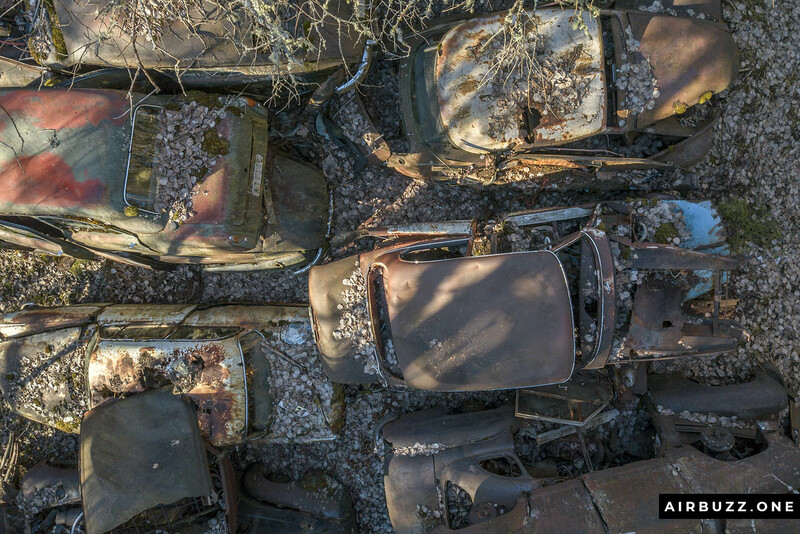 I enjoyed reading your blog post about the scrap yard and looking at your photos. 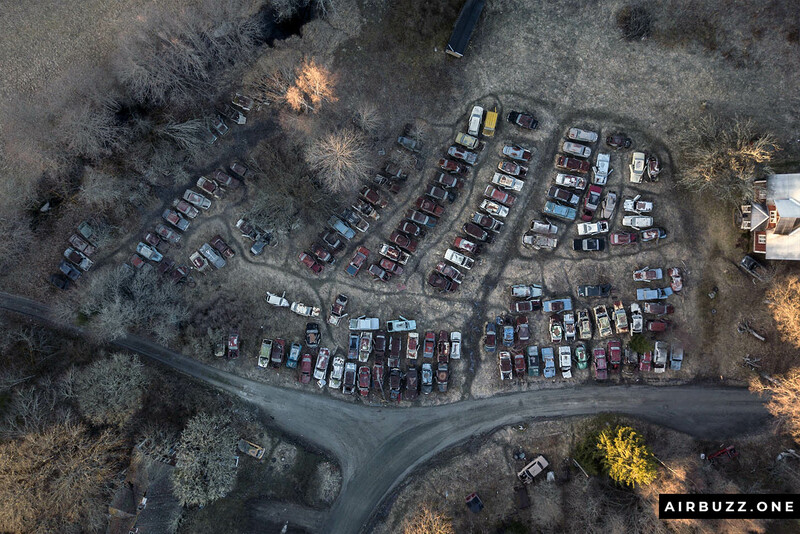 What a great idea for drone photography. Some of the cars look familiar to me, but I’m not an expert. 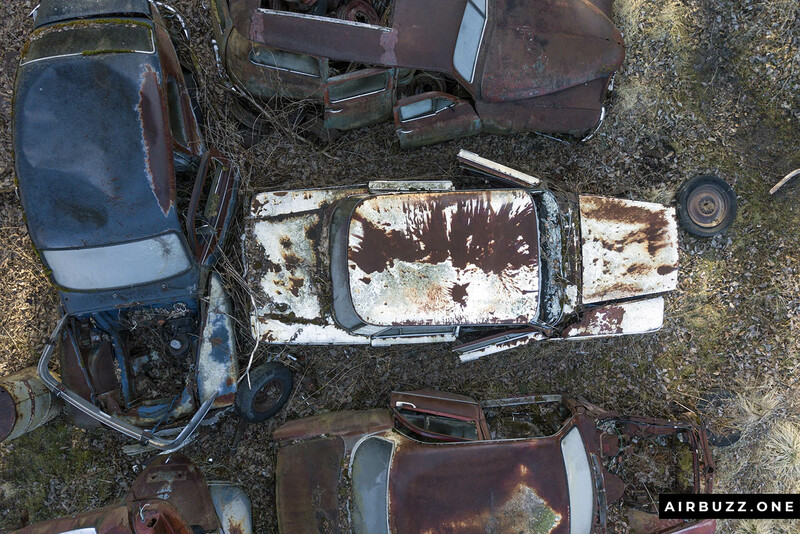 The black car in the 14th photo of the main collection looks a bit like a Triumph Vitesse, but I’m not sure. There’s a Wikipedia page about Triumph Vitesses you might like to check out.